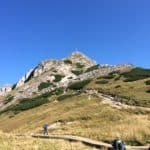 Join a certified mountain guide on this adventure to reach the top of the Giewont peak, to then continue until Zakopane. 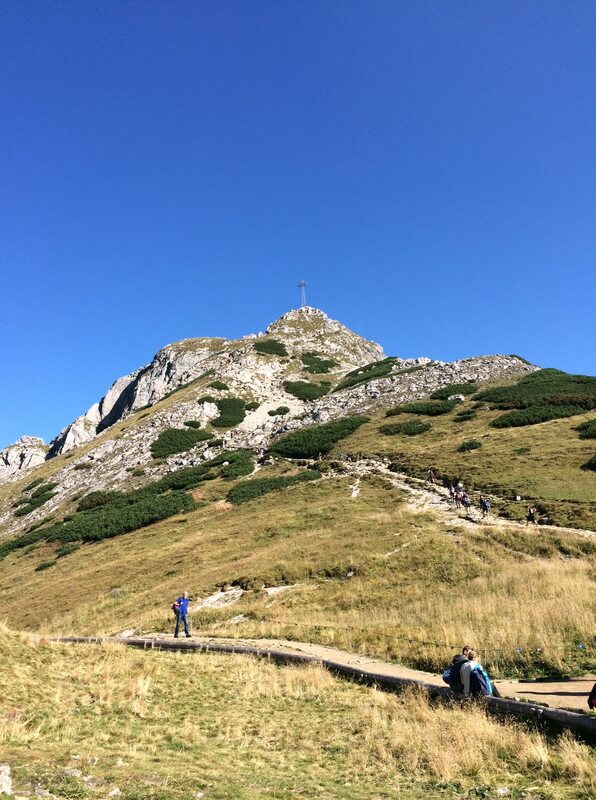 The Giewont peak, rising to 1894 m, is a symbol of Zakopane, the famous resort town in the south of Poland. In fact, its limestone cliff is visible from everywhere in the city. There are chains all the way to the top. Indeed, we will use this protection on the slightly steep sections. Once we reach the summit of Giewont, you won’t believe the views! But the trip is not over yet. We will continue to the Strążyska Valley and then to Zakopane. Does this hike sound tempting? Then please get in touch with me so we can make plans! It will be my pleasure to lead you up there. Of course it’s possible to combine this 1-day trip with other trips I offer. I also offer other hiking trips, as for example this Beautiful day hike in the Red Peaks. There are different hotels, hostels, guest houses and private rooms in the area. I will be happy to help if you need my assistance. The entrance ticket to the Tatra National Park is 2€. The transfers in public transportation that we will take are around 20€. Good Communication, very knowledgeable about the hike and the surrounding areas history! Mt Giewont was breathtaking mid October. Perfect weather! Hiking - 7 days - Interm. Hiking - 1+ day - Interm.